There was a lot of hype around today's big Apple announcement, with everyone anxiously awaiting details on their new streaming service. 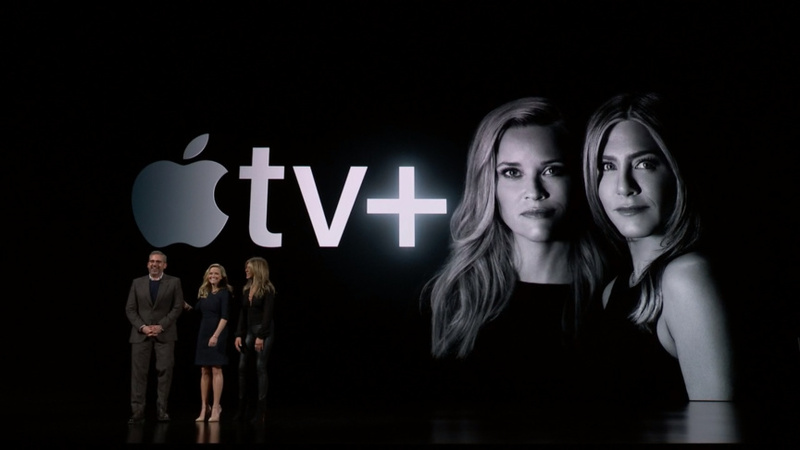 They promoted some new shows, christened it Apple TV+ (looks like they've got their eyes on Disney's naming conventions), and finished with Oprah doing her best to make everyone feel Oprah-y. But they left a lot of the specifics to our imaginations. What does Apple TV+ mean for Los Angeles? The biggest part of the announcement was promoting a lot of new, original shows, and that could mean more entertainment industry jobs here in L.A., especially office jobs. Many of the shows are thoroughly underway, but there are plenty more in various stages of production or conception to come. Apple has money to throw around, so they can shoot anywhere — but that may also mean there's a better chance of them shooting in L.A. if they feel it makes sense creatively, rather than budget concerns that often send productions elsewhere. That's what we're getting in the future — but we didn't get what a lot of viewers we're hoping for, like an actual launch date beyond "this fall," or a price tag for what it's going to cost you. We know it will be ad-free, feature a lot of original content, that all the shows will be downloadable, it will be available worldwide, and that Oprah's involved. 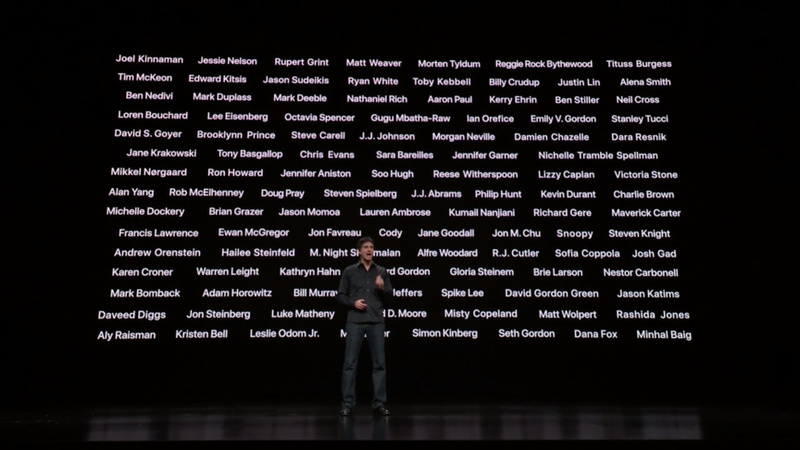 Oh, and despite the name, you won't need an Apple TV device — it'll be available in app form, including on smart TVs. Oprah Winfrey took the stage to promote two documentaries she'll be doing for Apple, as well as bringing back her much beloved book club for the service. It makes sense for a company also trying to sell you books, though that's been less of a central feature for them than many of their other services. Still, this could help jumpstart that business by tying it into the chance to watch Oprah interview authors seamlessly tying into the chance for you to get that new novel. Oh, and aspiring TV creators — don't get your hopes up on this as a new opportunity for you to get your thing made. They've signed on the most established creators around, at least for their initial swath of programming. You're competing with Steven Spielberg, J.J. Abrams, M. Night Shyamalan, and many more on the creative side. You've also got stars like Jennifer Aniston, Jason Momoa, and more. They have so many stars that they had Chris Evans and Octavia Spencer there in the audience, but never brought them on stage. They've got a ton more of stuff in the works — you can check out a list of the reported programming here. But hey, get on one of those production crews or on a writing staff for one of those shows. These are also very difficult things to do, but probably easier than being Oprah.